Clearly, there is something wrong with me because I still fail to connect with this show. I say this all the time: I think The Good Wife is a good show. In my opinion, there is nothing wrong with The Good Wife, but I just don’t see the brilliance everyone seems to see and I find it hard to believe TGW is a better show than Boardwalk Empire, Banshee, Justified, House of Cards, The Killing, Homeland, Bates Motel [none of which were nominated]. I just don’t get why TGW gets consistent love from EVERY award show there is [and not just the show, they get nominations on EVERY category]. I admit, I have not seen all the episodes; nevertheless, I think I’ve seen enough to know if I am in the presence of greatness [I must have seen at least as many eps as I have from Banshee and HOC]. And I am not trying to rattle the fans! Seriously, if someone can explain to me [with carefully constructed arguments], why The Good Wife is considered a better show than Sons of Anarchy, Orphan Black, Hannibal and Mad Men [and all the others previously mentioned], I would LOVE to hear it. I would REALLY like to know because I just DON’T see it and it has been driving me insane for years! So please, seriously… someone help me see the light! The first rule about “clone club” is… Oh, screw it, I am talking about clone club! The CCAs do have my respect because of one thing: Tatiana Maslany won last year. The fact that she hasn’t won any other big award [and didn’t even get nominated for most] is baffling. The only explanation I can come up with is that voters just don’t watch Orphan Black. Now, I am not an expert on acting, but Tatiana has got to be one of the best actresses of this generation. Just think about the massiveness of the work she has to do on Orphan Black. It’s impossible not be in awe of her. Not only is she in pretty much every scene, but she has to play an array of different characters that go from an Ukrainian religious fanatic to a bohemian biochemist. And, as if playing 5+ clones wasn’t hard enough, she also has to play clones impersonating other clones. My head wants to explode just thinking about it! The CCA also made me happy because they nominated a few guys that are usually ignored. First of all, the amazing Walton Goggins, who plays Boyd on Justified; one of the best supporting characters ever. Although… I would argue he should have gotten a Best Guest Star nod as well for his portrayal of Venus Van Damme on Sons of Anarchy. Apparently, the Critics also know Hannibal exists and nominated Hugh Dancy. But I am actually more annoyed than happy about this. If the voters are aware that Hannibal exists… Then why on earth did the show get only ONE nod? [while The Good Wife got nominated on EVERY SINGLE CATEGORY!!]. OK… breathe…Moving on… The critics seem to have a soft spot for psychos because they also nominated Freddy Highmore from Bates Motel. I am so happy about this. Vera Farmiga is amazing and she usually gets all the attention, but I think Freddy deserves the recognition as well! That kid can go from sweet to psychotic in the blink of an eye! If you are not on The Good Wife, it seems critics are still willing to nominate you if you play a serial killer. If that is not possible looks like dying is the next best thing. I have been complaining about Sons of Anarchy being overlooked for everything for ages. Katey Sagal must be one of the greatest actresses on TV right now, the show is one of the best on TV ever… I simply don’t get it. 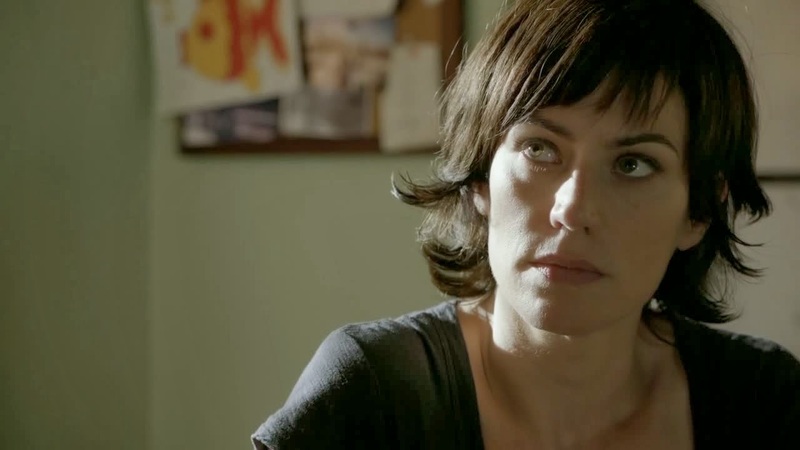 And as THRILLED as I am to see Maggie Siff FINALLY (*) get a nomination, I am a little upset that it had to be for the season where her character dies! But… she had some of the best scenes on TV this year, they LITERALLY brought me to tears [seriously, I was sobbing]. So WELL DESERVED.